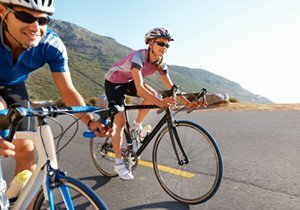 Most sports and activities do not compare to San Diego cycling, especially considering its combination of biking fitness, fun and cost. There are no ongoing expenses, such as monthly green fees, membership dues, league charges or other outlays seldom exist. Once you make the initial expenditure for a bicycle and bike gear, you will receive years of use and enjoyment from your purchases. 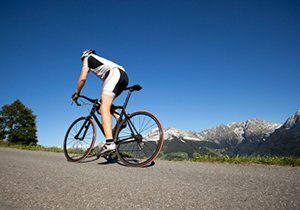 When looking for San Diego bike gear, our bicycle accident attorney recommends selecting your items with the same attention and care you used when deciding on the right bike type for your cycling needs. 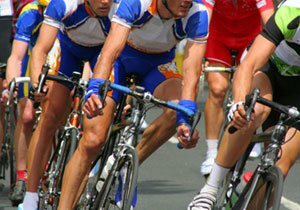 Seasoned bikers and cyclists, including competitive racers, prefer clothing that enhance and maximize their performance, this includes high-end jerseys and shorts. Quality biking jerseys keep you cool and comfortable by diverting moisture from your body. Many pro cyclists also wear bicycle gloves, which can keep hands dry and help maintain a secure grip on the handlebars. The padding absorbs the vibrations on long destination rides and over rough road. Dress in layers; you can always remove clothing if the temperature changes. You also want to guard against injury. Choose pants or shorts that give a close fit. Loose clothing presents a bicycle safety hazard. Select bike shorts with padding that permit you to cycle for extended periods with ease and comfort. Cycling shorts help prevent chaffing and injury. Pay particular attention to the workmanship of zippers and stitching. What are the Best Shoes to Wear for Cycling? Experienced cyclists prefer a “pedal system,” which uses an integrated pedal and “clips” in cycling shoes, similar to the way skis attach to the bindings in a ski boot. This transfers the most power and allows the cyclist to “pull up” on the pedals, as well as “push down” on them. Releasing your foot (or “clipping out”) is necessary whenever you stop but the action becomes second nature with a little practice. Beginners often use a flat pedal and any type of comfortable sports shoe. For long bike rides, it helps to use a stiff shoe (or one with a plate in the sole) because this helps spread the pressure on your foot. Another option is to use “toe clips.” This device attaches to a flat pedal and allows the cyclist to “push and pull,” similar to a clip system. However, it is easier to disengage your foot from the pedal, by simply moving your foot to the rear. Do I Have to Wear a Bicycle Helmet? 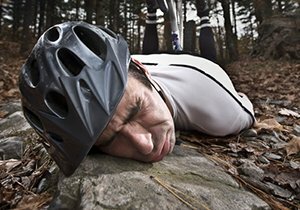 Are More Expensive Helmets Safer? California bicycle helmet law requires people under the age of 18 to wear a helmet. The San Diego Bike Safety Portal advocates that all cyclists wear a helmet every time they ride. Numerous studies show that wearing a bike helmet can prevent a serious brain injury and can allow you to walk away from many falls. According to the Bicycle Helmet Safety Institute, their testing did not identify “performance differences” based on the price of helmets. Make sure your choice fits your head and provides adequate ventilation. 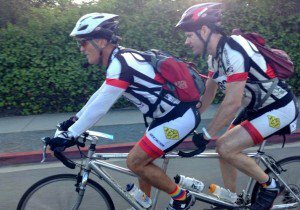 San Diego bicycle accident attorney Frederick M. Dudek, a bicycle commuter with more than 35 years of cycling experience in San Diego and throughout California, offers this resource to you. 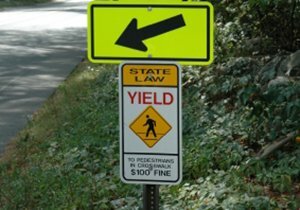 If you suffered an injury or property damage in a bike accident due to a negligent motorist, call a lawyer at our firm for a free no cost, no obligation consultation to discuss your potential case.